Uh-oh: The Daily Mail collected ice from ten fast-food franchises — McDonald’s, Burger King, and Starbucks among them — and determined that in six out of ten locations, those innocuous-seeming cubes contained higher levels of bacteria than the water samples taken from toilet bowls at the same establishments. The Mail doesn’t identify the bacteria by type or warn of a specific food-safety risk, instead noting only that four of the samples contained a sufficient bacterial load to present a “hygiene risk.” So, does this mean we should all be drinking out of the toilet? The article doesn’t make clear how much of the ice taken from each of the ten establishments was tested. Moreover, it doesn’t emphasize how much one study parameter — fast-food workers were asked to put the ice into sterilized bags — was flawed, which renders the entire thing somewhat useless. “For the tests,” it notes, “staff were asked to provide a sample of ice in a sterile bag.” The reader has to make it to the very end of the article to learn that the worker at Starbucks, for example, “inadvertently” contaminated the sample at the point of collection. • In an effort to dissuade her friends from chewing on ice — a habit she found annoying — a 12-year-old kid from Tampa devoted her 2006 middle-school science project to comparing bacterial loads in fast-food ice samples and toilet water. Jasmine Roberts won a few awards and garnered national attention with her conclusion that ice-machine ice was dirtier than toilet water 70 percent of the time. • A local news affiliate found coliform bacteria in 13 out of 25 ice samples taken from Indianapolis-area bars in 2008. • The U.K. Health Protection Agency found enterococci and E. coli in 30 percent of ice samples taken from 88 establishments in 2011. • And it’s not just the innards of ice machines that harbor bad germs. All that sugar-filled plastic tubing inside soda machines can feed several gazillion colonies of bad bacteria. 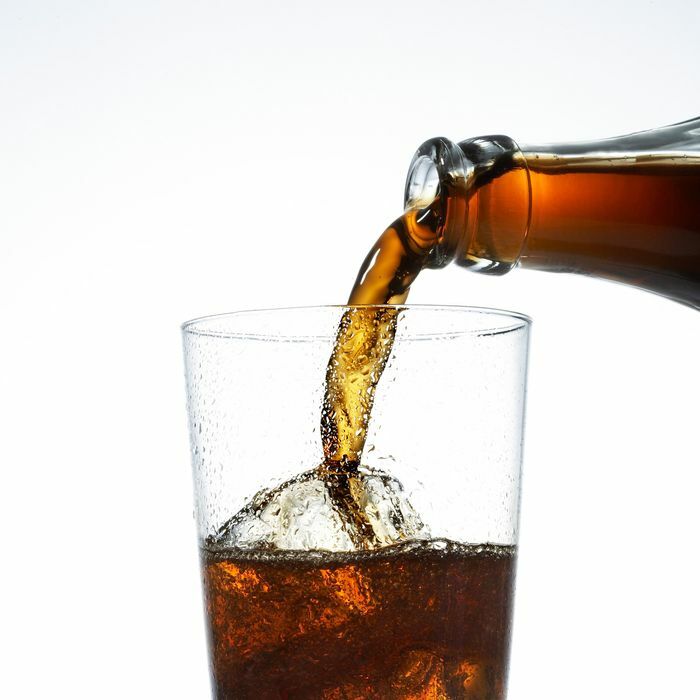 In 2010, for example, researchers from Hollins University in Virginia took samples of 90 drinks from 30 soda fountains located within a twenty-mile radius of Roanoke. They found coliform bacteria in 48 percent of the drinks and antibiotic-resistant E. coli in 11 percent. It’s pretty safe to assume that, on a widespread basis, nasty bacteria run the innards of ice machines just like Master Blaster runs Bartertown. Does that mean that ice from fast-food places will make you sick? As with most foods, the risk increases if you are either very old, are very young, or have a compromised immune system. Other than that, these studies are effective at upending one misconception about pathogens in particular: that freezing temperatures destroy bad germs. Instead of comparing ice and toilet water, it’d be good to get samples from a few more surfaces that aren’t toilet water, which is usually treated with disinfectants in food service settings, anyhow.